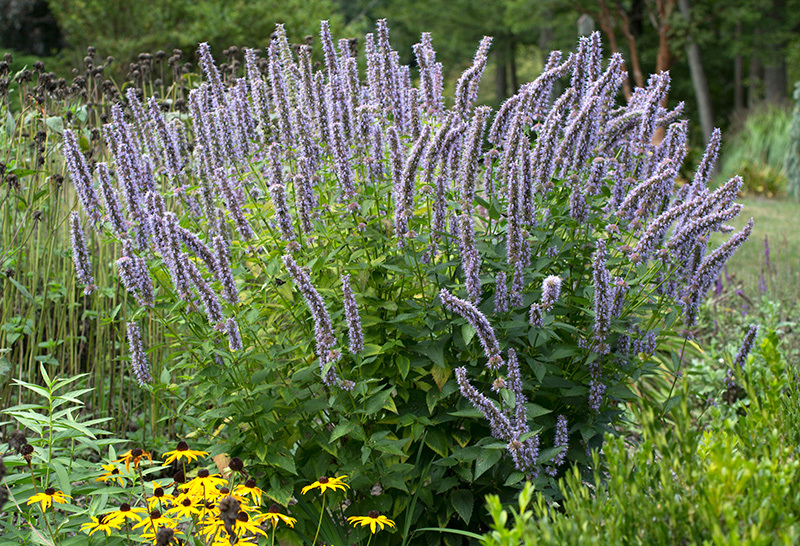 Deep violet-blue flower spikes appear from June to frost. 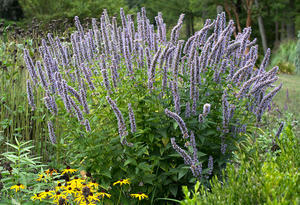 An erect clump for use in borders, herb gardens, cutting and drying. Attracts butterflies and hummingbirds.